Laptop Sleeve tutorial on Design*Sponge! I was so thrilled to see a lovely review of Hand-Stitched Home on Design*Sponge today – thank you SO much to Grace Bonney for her kind words about Pendleton and my book, and for sharing the beautiful Laptop Sleeve/Zip Clutch designed by Sarai Mitnick of Colette Patterns. 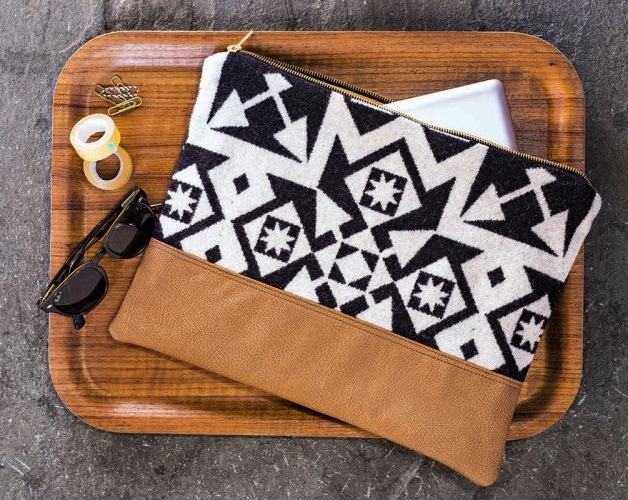 It’s such a gorgeous project and totally customizable to fit a device of any size – or just make as a clutch to carry for a quick errand or a night out! You can find the beautiful Condensed Black & White fabric Sarai used at the Pendleton Woolen Mill Store here in Portland, or call the store at 503-535-5786 for personal shopping and mail order if you aren’t local – they are so nice! 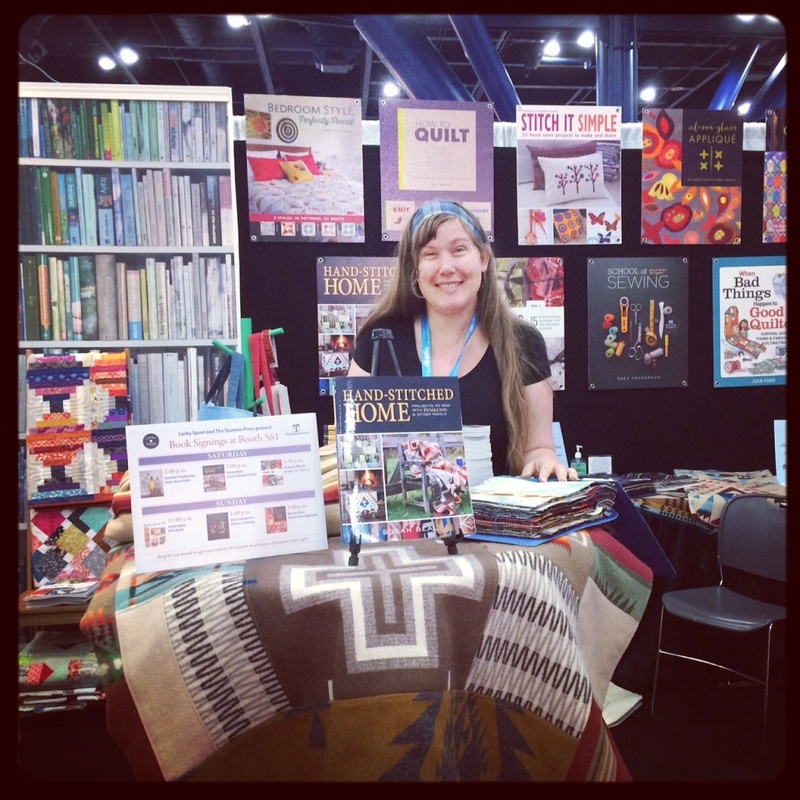 Thanks to everyone who came to my book signings at Quail Ridge Books in Raleigh, and at Quilt Market! I’ll post more about Market later but it was so much fun to see lots of friends and get a peek at beautiful new projects, books, fabric lines, patterns, and everything else on the show floor. I’m happy to be home and looking forward to sharing more from my book now that my events are winding down! scraps, inc. make it: border print wool tote!